Initially the name given to an off-road package for Subaru's compact car, the Impreza, the Crosstrek was eventually spun off in 2016 as a standalone nameplate. It was reimagined as a five-door vehicle that blended the benefits of an SUV and hatchback: raised suspension, increased indoor space, and heightened off-road ability and traction control. The Crosstrek is redesigned for the 2018 model year based on the fifth-generation Impreza. The 2018 Crosstrek consists of a trio of trims: regular model, Premium, and Limited. Riding on black machine-finished 17-inch alloy wheels, the 2018 Crosstrek has multi-reflector halogen headlights flanking the front grille. Included in the headlights are daytime running lights to make your car more visible to pedestrians and other motorists. Black folding side mirrors are on the front doors, and on the roof are raised black-finished rails for extra cargo carrying capacity. The liftgate bears a rear spoiler for improved aerodynamics. 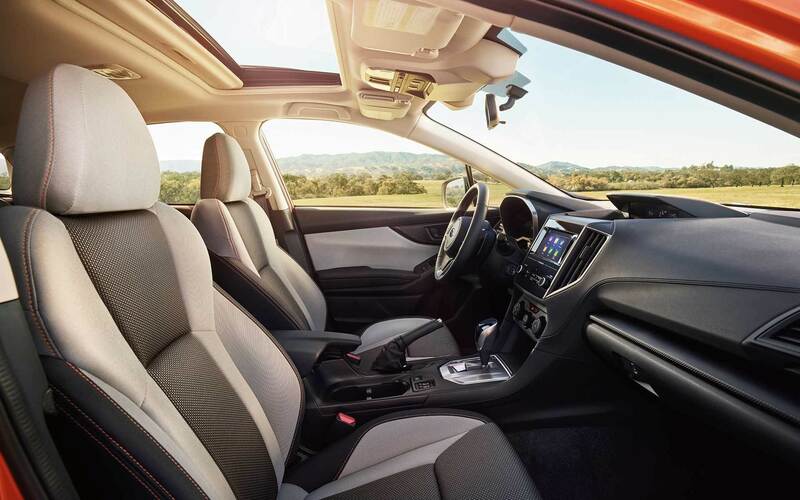 With two rows of seats that accommodate up to five people, the 2018 Subaru Crosstrek provides 100.9 cubic feet of passenger volume. Trunk volume is measured at 20.8 cubic feet, although you can fold down the rear bench-style seat to expand it to 55.3 cubic feet. The front row consists of a 6-way manually-adjustable driver's seat and a 4-way manually-adjustable passenger seat. 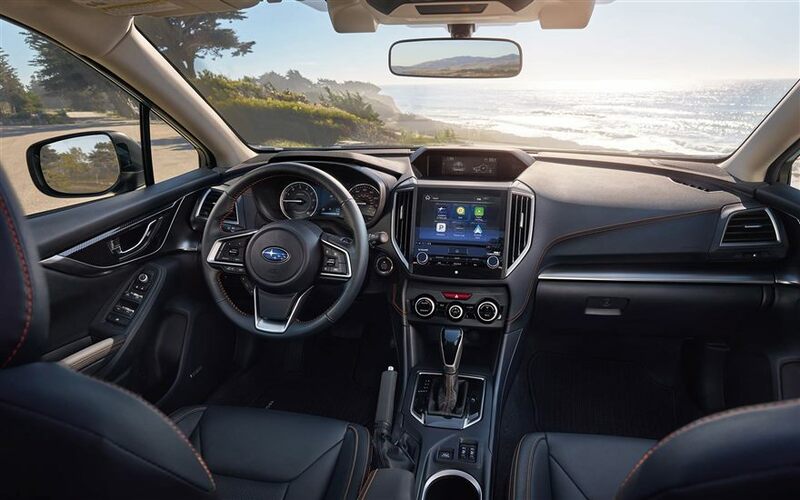 For comfort and convenience, the Crosstrek includes features like electronic cruise control, Bluetooth connectivity for hands-free phone calls and audio streaming, four-speaker audio, Apple CarPlay and Android Auto for controlling the stereo head unit with your smartphone, a USB port and auxiliary audio input for connecting mobile devices, and a 6.5-inch high-resolution LCD touchscreen. 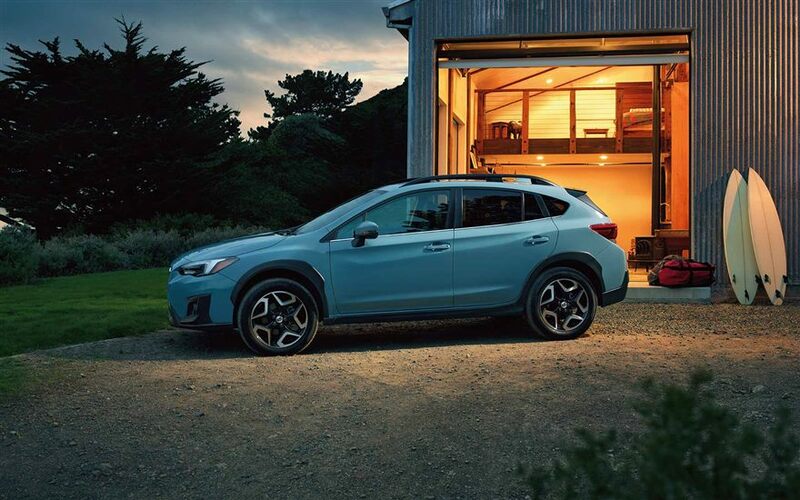 The 2018 Subaru Crosstrek is powered by a 2.0-liter horizontally-opposed 4-cylinder (H4) engine, which produces 152 horsepower at 6,000 RPM and 145 lb-ft of torque at 4,000 RPM. Joined to the H4 is a 6-speed manual transmission. Standard on the Crosstrek is an all-wheel-drive system, which prevents or mitigates the loss of control when driving on slippery surfaces. The raised suspension on the Crosstrek-which absorbs bumps on the road and prevents damage to the undercarriage-comprises a strut design with lower L-arm at the front and a double-wishbone with lateral link pillow-ball joint bushing at the back, complete with stabilizer bars. The electric power-assisted rack-and-pinion steering on the crossover vehicle enables a turning circle of 35.4 feet. For cushioning and restraint in a collision, the 2018 Crosstrek comes with dual front impact airbags, which face the driver and front passenger; a knee airbag for additional protection of the driver; dual front seat-mounted airbags for side impact; and a pair of roof-mounted side curtain airbags that flank both rows to provide occupants head protection. 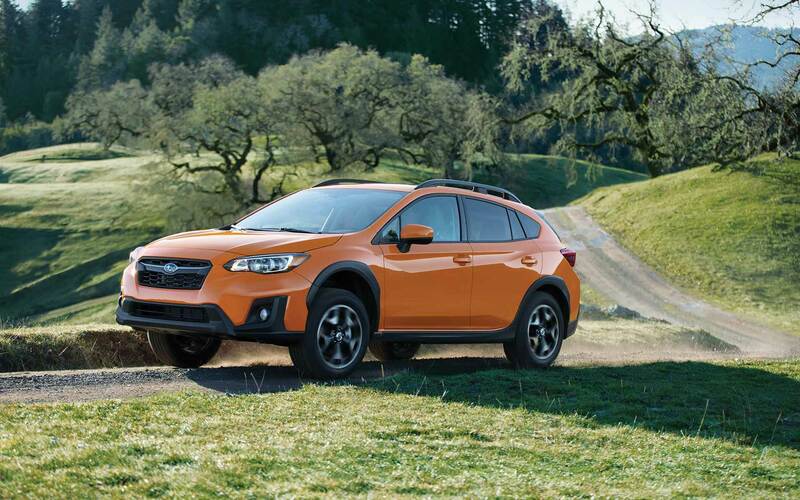 The Crosstrek has ventilated front disc brakes and solid rear disc brakes to keep stopping distances short. Accompanying the disc brakes are ABS (anti-lock braking system) to prevent wheel lock-up when the brake pedal is abruptly pressed, electronic brake-force distribution for properly allocating stopping power to the wheels, brake assist for additional braking power when needed, and brake override for reducing the power of the accelerator pedal when the accelerator and brake pedals are pressed simultaneously to prevent unwanted acceleration. Other standard safety features on the 2018 Crosstrek are a rearview camera for enabling you to see a video image of the back when driving in reverse, vehicle dynamic control for maintaining the intended driving path, active torque vectoring for improved handling and steering, incline start assist to prevent the vehicle from rolling back when you're shifting from park to drive on a steep hill, and traction control for optimizing performance on slippery surfaces. For a 2018 Subaru Crosstrek near Thornton CO, Internet deals, or car quotes, call us at Flatirons Subaru. We are known for serving Thornton Colorado shoppers with Internet deals or quotes near Detroit MI, as well as outstanding customer service (as evidenced by glowing aggregated reviews on Google). 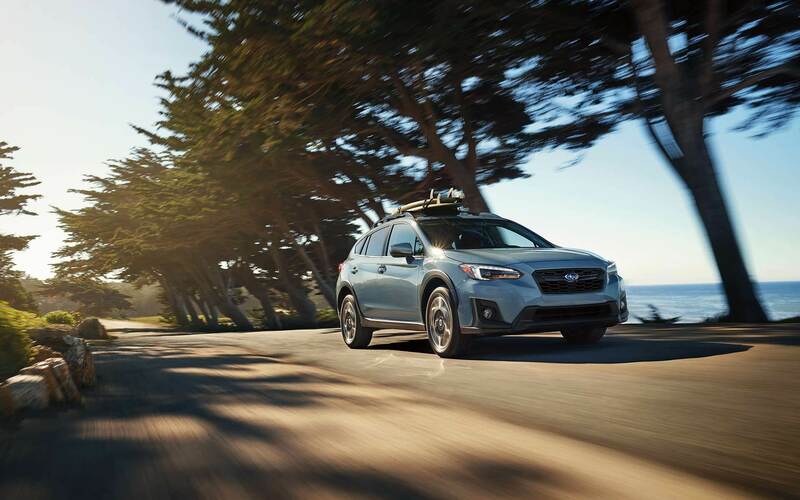 As a result, Flatirons Subaru is the ideal dealership to visit for serving Thornton Colorado, or if you are looking for a 2018 Subaru Crosstrek near Thornton CO. Set up an appointment at Flatirons Subaru today for Crosstrek quotes MI or Internet deals. One of our Subaru experts serving Thornton Colorado will be able to assist you regarding the 2018 Subaru Crosstrek near Thornton CO.